Way out west in Cactus county lived a horse named Calico. She wasn’t very pretty, but she was smart and could run like greased lightning. 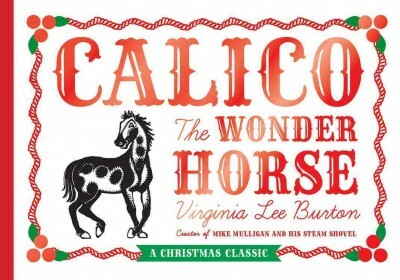 When villain Stewy Stinker threatens to hold up Santa Claus on Christmas Eve, will Calico the Wonder Horse be able to save the day? This gift edition celebrates the 75th Anniversary of this classic tale by Caldecott medalist Virginia Lee Burton, the author of Mike Mulligan and the Steam Shovel. With an updated cover, it's the perfect holiday present for children of all ages.